Jason Clarke shares his most frightening experience while filming Stephen King’s Pet Semetary; directors of the film interchanged one key element from the novel. Stephen King’s 1983 supernatural horror novel, Pet Semetary is getting a theatrical adaptation for the third time. The movie is set to release worldwide, next month on the 5th of April. This supernatural horror adaptation includes the cast of Jason Clarke, Amy Scheimets, and John Lithgow. King’s collection of horror novels has been terrorizing the readers since the decades. Likewise, the big screen transformation also had their own level of thrilling experience to give to the cinema-goers. 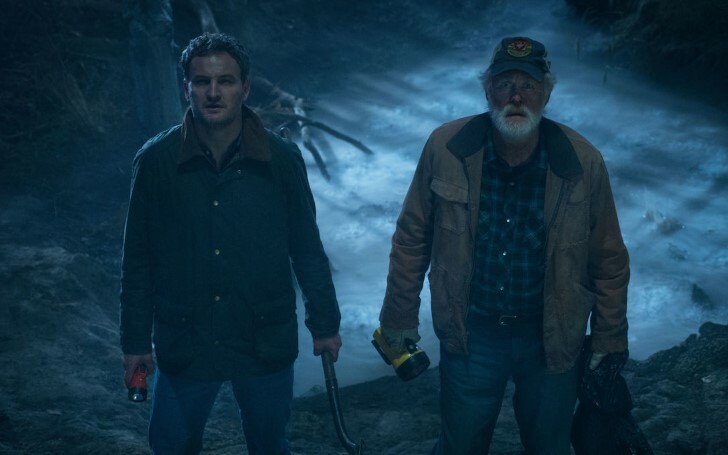 With Pet Semetary making its way into the theaters, the film’s lead actor, Clarke claims he had one of the scariest moment of his life during the filming. The actor explains his frightening experience was rather an emotional one instead of a classic supernatural scare—the later which so often happens in the King’s movies. Pet Semetary follows the story of a family of four (Clarke, Seimetz, and their two young children) who migrate from Boston to a small town in Maine for work. Within the first few days of their relocation, the family finds themselves entrapped in an unfathomable evil with horrific consequences. This is especially after Creed (Clarke) learns about a burial ground deep in the woods rumored to resurrect the dead back to life. The character is then lured into the supernatural, after which he faces its subsequent and disastrous effects. The novel has been already adapted twice into the big screens (one in 1989 by Mary Lambert and a follow-up to same story in 1992 by the same helmsman), but this 2019 release is claimed to have had taken more creatives against the original story whilst maintaining the book’s dark and disturbing elements at the same pace. The new Pet Sematary movie has done an absurd modification to the original storyline. Instead of depicting the death of Gage (as per the book), the film has rather killed Creed’s another child, Ellie for building up its story. But as it turns the film wheelers, Kevin Kölsch and Dennis Widmyer were just trying to avoid the cliché of Chucky with Gage; apparently, when a young boy is killed and resurrected, he is sure to become an evil force which has been done so often times in the Child’s play franchise. It seems quite rational of directors changing up this one key element of the story, however, it's only the matter of theatrical release where we will actually see how much of justice has been done to King’s one of the most popular works.